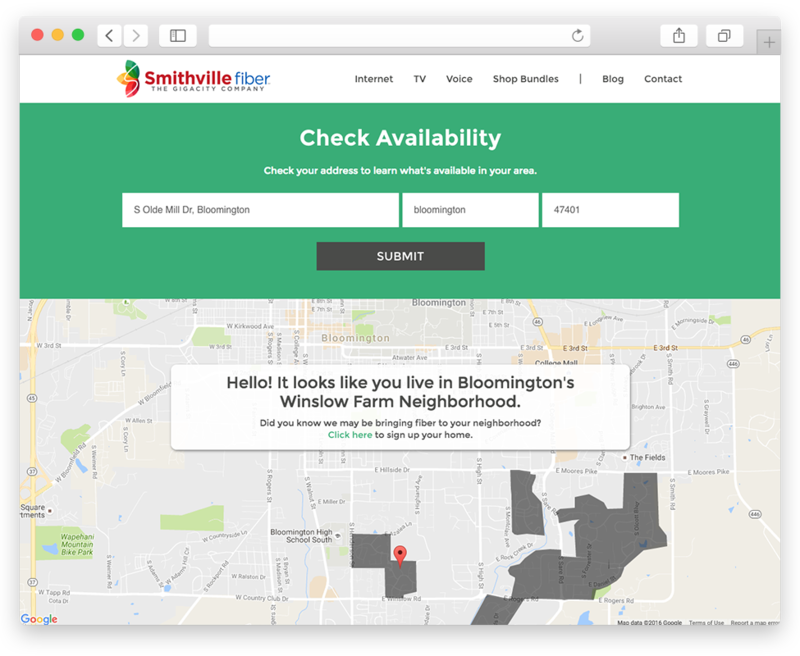 Smithville Fiber - Rare Bird Inc.
Hoosiers helping Hoosiers connect like it’s 2099. When Smithville Fiber (formerly Smithville Telecommunications) began providing communication technology nearly a century ago, they couldn’t have dreamed how the world would change in the next 100 years. But this Indiana business — recognized nationally as a Top 100 broadband provider — has always been forward-thinking. These days, they are lighting up Indiana neighborhoods and cities with lightning-fast (like, literally) gigabit fiber. We can’t tell you how jealous we are. But since Smithville Fiber doesn’t (yet!) reach Indianapolis, at least we got to be a part of helping them make this leap into communities like Bloomington, Jasper and Danville, Indiana, bringing the future of connectivity and communication to other Hoosiers. After Smithville reached an agreement with city officials to bring gigabit fiber to Jasper residents, we started by first creating a small site for the city of Jasper. A neighborhood in Bloomington was next, then the town of Danville. We were brought in to help with all things web-related by Indianapolis marketing firm MEK, who has worked with Smithville on their marketing and branding initiatives for years. Next up was creating a marketing site where new customers could learn about the internet, TV and voice options available. 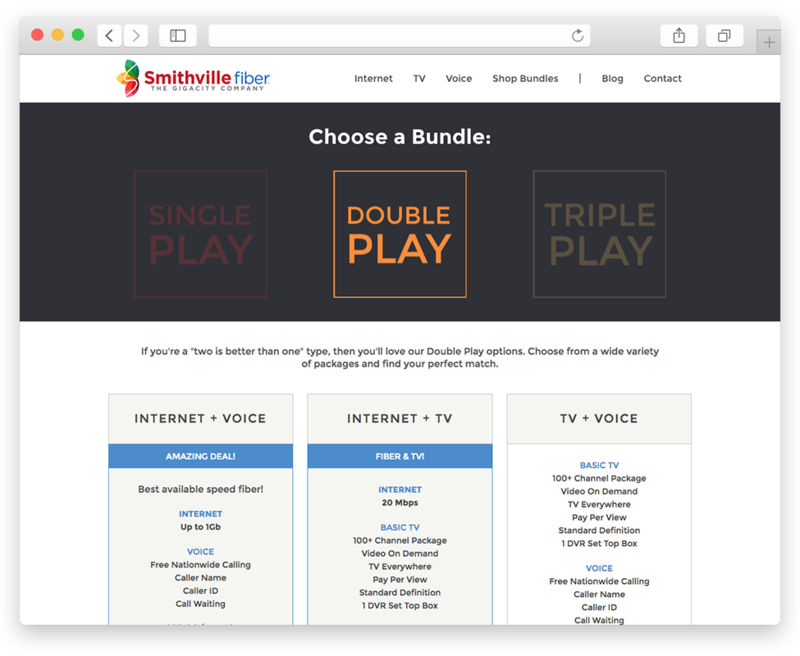 This Switch to Smithville site gave Smithville Fiber an entirely new, fresh look and feel, and an easy way for potential customers to view, understand and sign up for services. 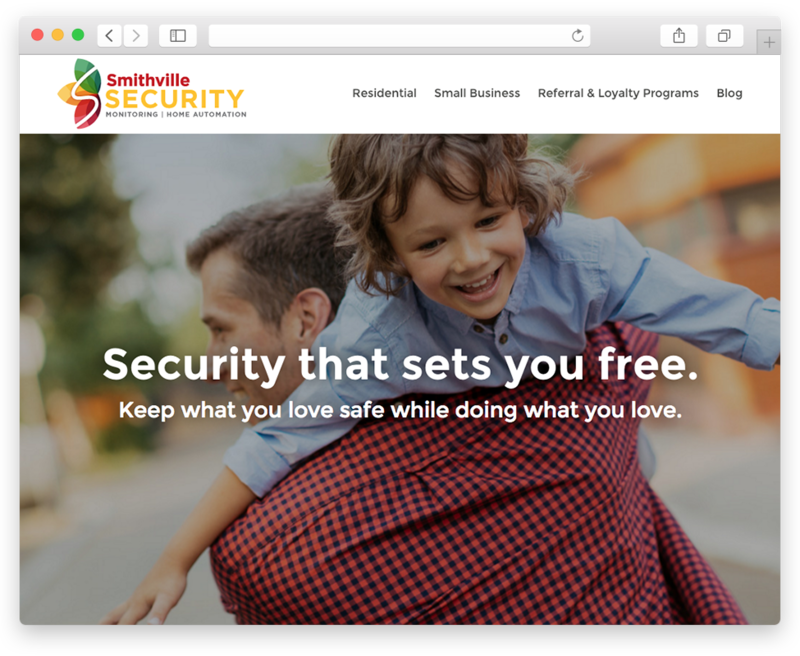 The Smithville Security site came next, and the Enterprise site aimed specifically at businesses soon followed. While the Smithville HQs are located in Ellettsville, IN, and we’re up here, Fiberless in Indianapolis, our communication has been flawlessly executed even though we’re 75.1 miles apart. After all, good communication is a hallmark of what both our companies do.